Billie E. Holt obituary. Carnes Funeral Home. 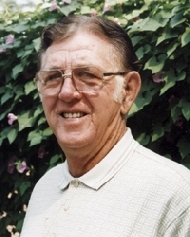 Billie “Bill” Emerson Holt of Jasper, Texas passed away at his home after a lengthy illness on April 06, 2018. Age 85. Bill was born in Martin, Tennessee on August 20,1932 to the late Roy Emerson Holt and Minnie Ola “Melton” Holt. Bill was raised on a tobacco and popcorn farm in Obion County, Tennessee. In 1958 he married Muda Kay Holt. They were married for forty-three years until her passing in 2001. He then married Ellazine Byerly in 2002. She survives him. In 1951 he joined the U.S. Air Force and served in Korea discharging from active duty in 1953 and moving to Texas where he went to work with his uncle as a pipe fitter at Monsanto Chemical in Texas City, Texas. He eventually went to work for Flour and M.W. Kellogg as a construction superintendent, building oil and petrochemical refineries all over the world. He was an avid wood worker, gardner and fisherman. In his retirement he enjoyed helping others by making walking sticks and giving them to people in need. Bill was a member of the Michigan American Legion and was a former member of both the Texas City and Jasper Lions Club. Billie was a member of the Homer United Methodist Church in Jasper, Texas. Bill is survived by his wife Ellazine Holt of Jasper,Tx; son Brett Holt (Bonnie) of Saginaw, MI; daughter Mysti Holt (Lee Lamb) of Saginaw, MI; step-son Clayton Byerly (Sheryl) of Sealy, Tx; step-daughters Beverly Curbello (George) of Hockley, Tx; Valerie Byerly of Livingston, Tx; and Jane Herbst (Gary) of Greenville, Tx. ; four grandchildren Barry Holt, Jillian Holt, Logan Lamb and Joshua Lamb; nine step-grandchildren Jennifer, Samuel, Helen, Emily, Lauren, Ethan, Austen, Erica, and Noelle; and several great-grandchildren. He is also survived by a host of family and friends. Billie was preceded in death by first wife Muda “Kay” Holt, sisters Celia Hawks, Erma Rickman, Jackie Holt and brother Wilton Holt. A memorial service will be held at 10:00am on Saturday, September 29, 2018 at Carnes Funeral Home 3100 Gulf Freeway,Texas City, Texas.